Scrumptious and melts in your mouth! 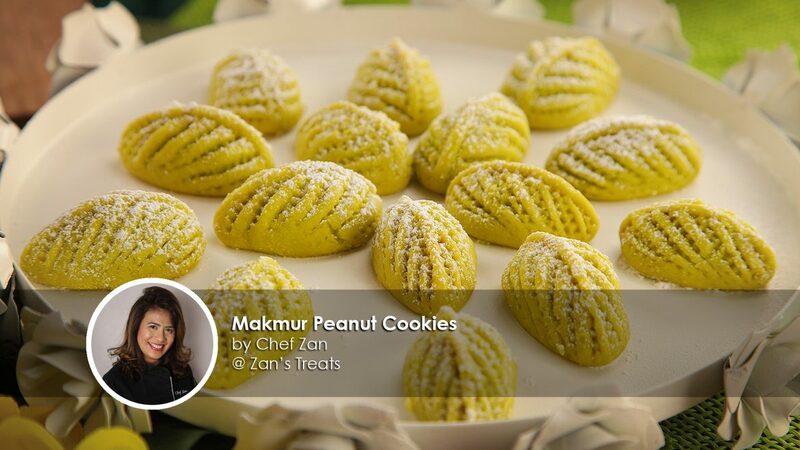 This classic Makmur Peanut cookies recipe is shared by Chef Zan, a pastry chef who runs her own baking academy Zan's Treats. 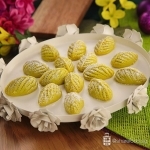 The Makmur Peanut Cookies are her favourite, and she'll definitely make these to serve her guests during the Eid celebrations. This particular Kueh is one of the old classics and an all-time favourite of many. 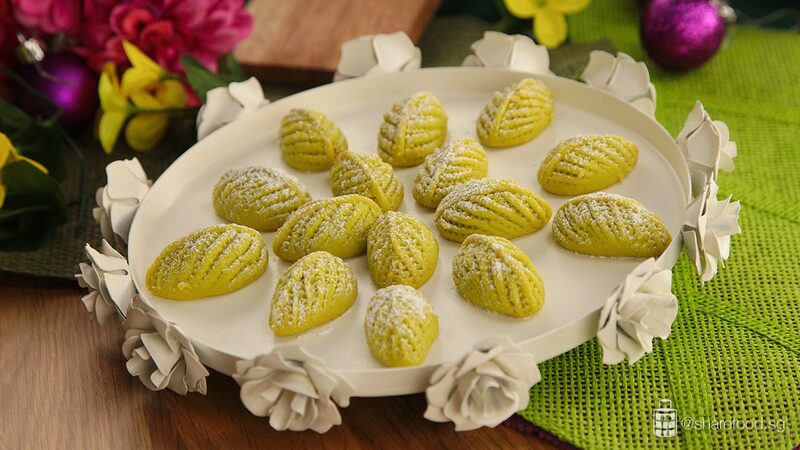 Pretty and delicate, with Chef Zan's recipe you'll master it in no time. For the pastry dough, it's effortless. 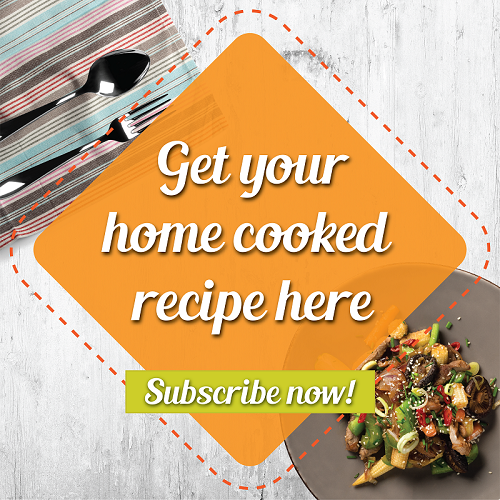 We placed all the ingredients into the Kenwood's Chef XL Sense and mixed the dough till it becomes firm. With the K-Beater, it mixes the dry ingredients perfectly. This stand mixer would be super useful especially if you're making batches of cookies for Hari Raya. To make the beautiful leaf pattern, you'll need a pair of pincers. Start from one side and work your way through to the other end. Place the cookie on the baking tray and bake it for 25minutes. Do keep a close look at the cookies and do not over bake it as it'll turn brown. 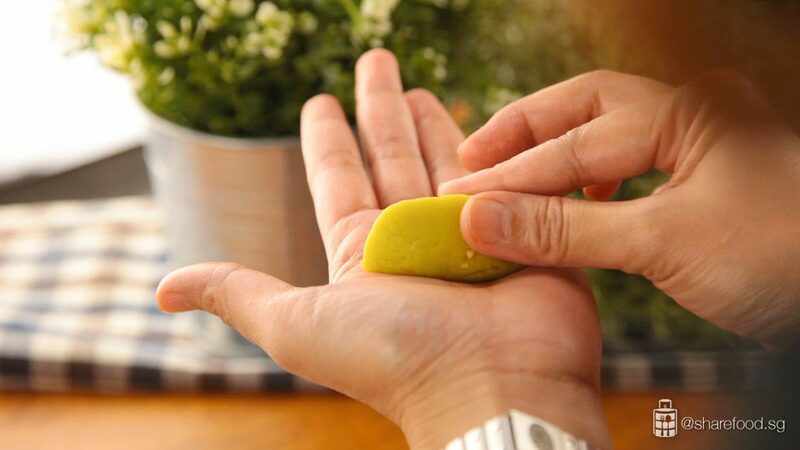 Celebrate the upcoming Hari Raya with this classic! It will make this special occasion a more memorable one. Place all the ingredients for the peanut filling in a mixing bowl, mix evenly and set aside. 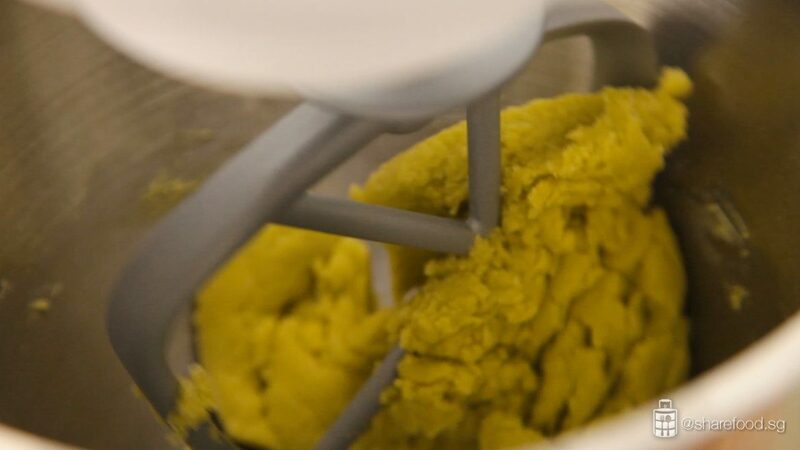 In the Kenwood stand mixer, beat butter and ghee at medium-high speed until light. Add egg, vanilla essence and green colouring. Mix well. Add flour and salt. Mix until the dough becomes firm. Preheat the oven to 150 degree Celsius. 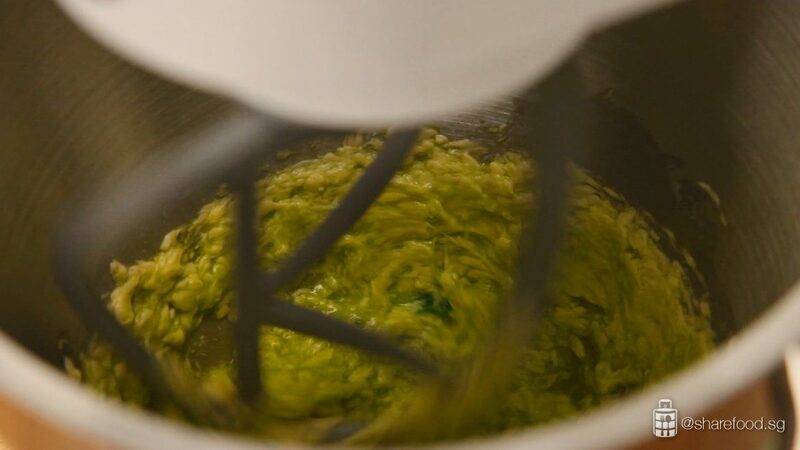 Roll the green dough into balls of 10g each. Flatten the dough and fill the centre with peanut fillings. Seal the edges by pinching it together. 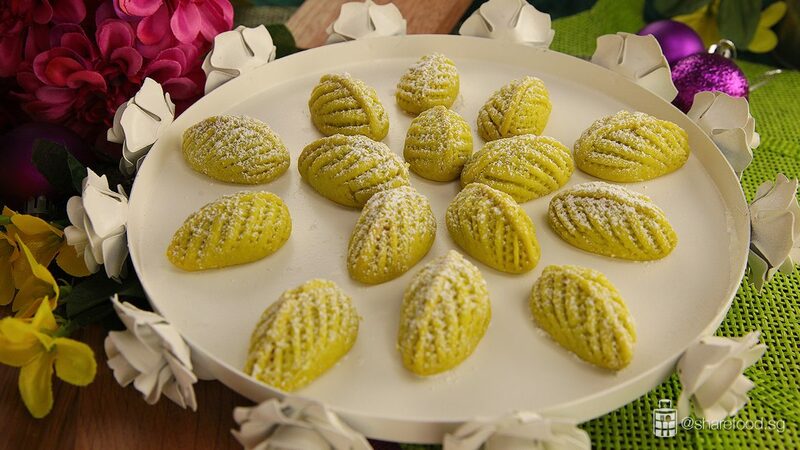 To make the leaf design, use a pastry crimper. Start from the side and work your way through to the other end. Repeat till all the dough are used up. Arrange the cookies on a baking tray lined with baking paper. Transfer to the oven, on the middle tray, bake for 25 mins. Do not over bake as the cookies will turn brown. Remove and set aside to cool on a wire rack. Sift icing sugar over the cooled cookies before serving or store in airtight containers.